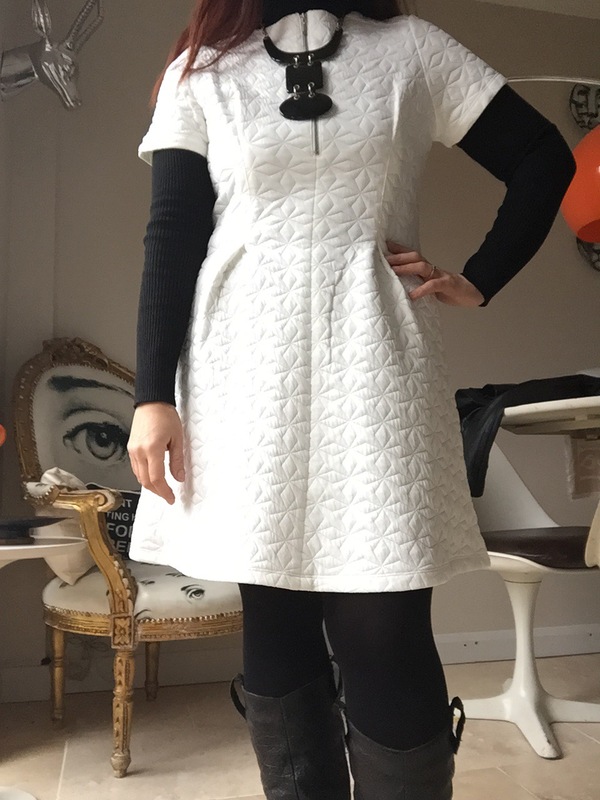 A little while back I blogged about a Primark haul I had done and bought, amongst other things, a white space age style dress I loved but wasn’t quite sure how I’d wear it for winter. Well today I wore it! 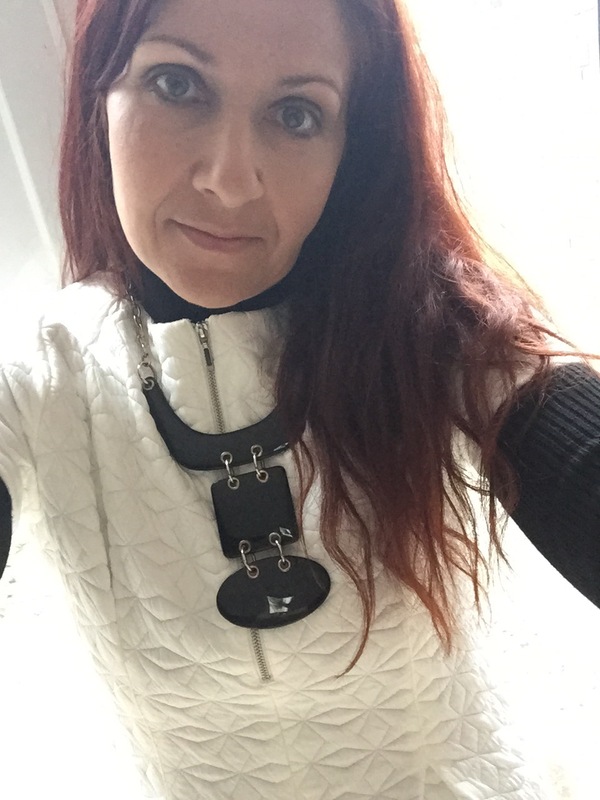 With it being cold outside, I wore the dress with Topshop knee boots, thick black tights and a black rib Dorothy Perkins roll-neck jumper underneath. 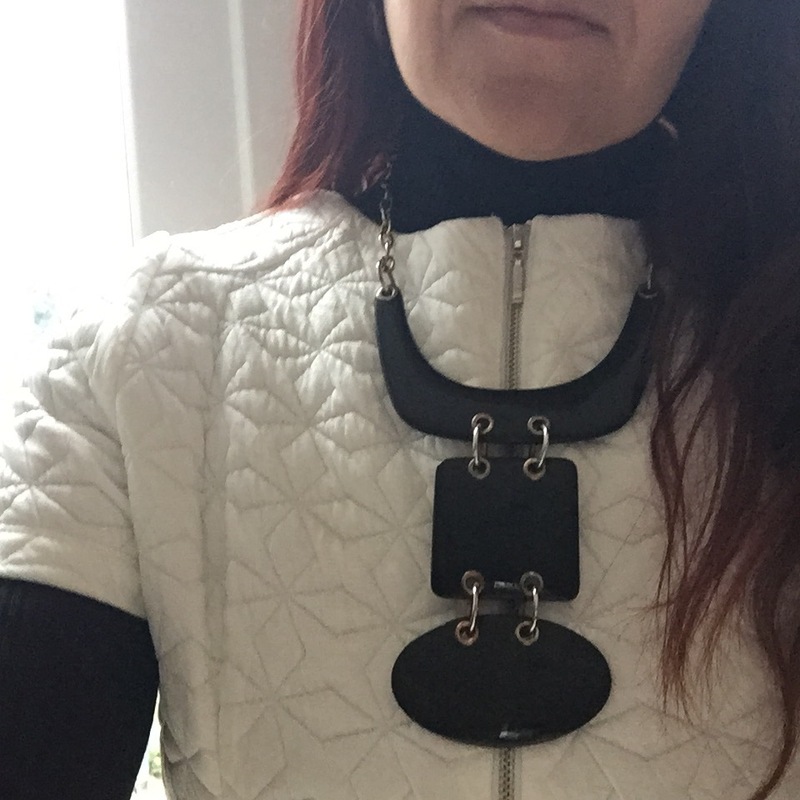 To carry the monochrome look through I added a black statement bib necklace I got a few years ago from House of Fraser which I love. Overall the whole look is quite space age! With its quite structured shaped and jetted waist and a-line skirt the cut is really flattering. 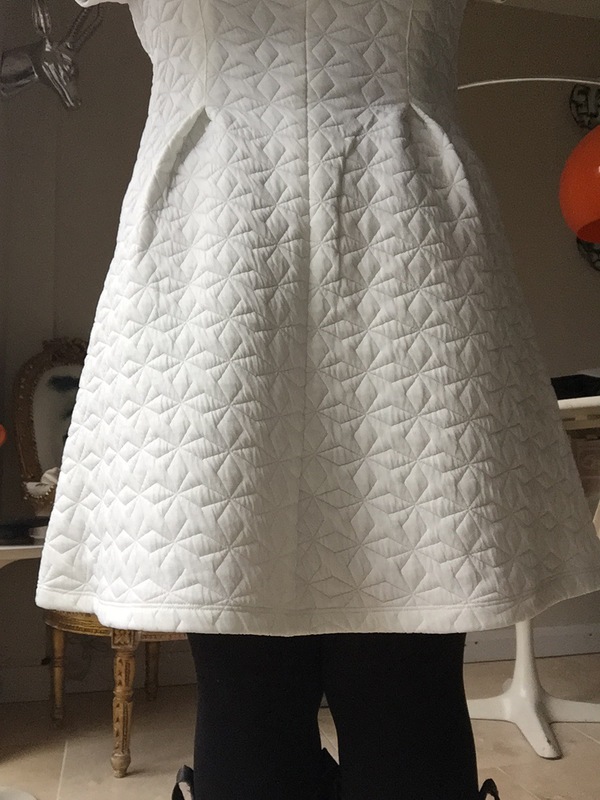 The quilted fabric is cosy too. When I went out I wore a black leather jacket and black oversized knitted hat with the outfit and I must admit, I loved the look! 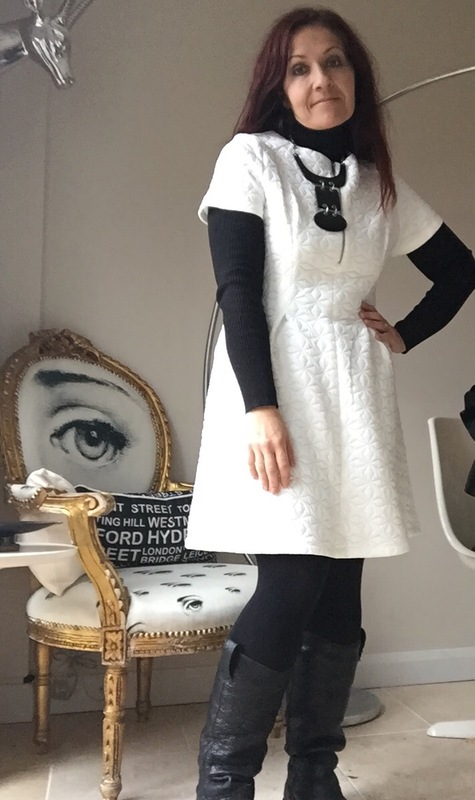 I thought white might be difficult in winter but it really isn’t! 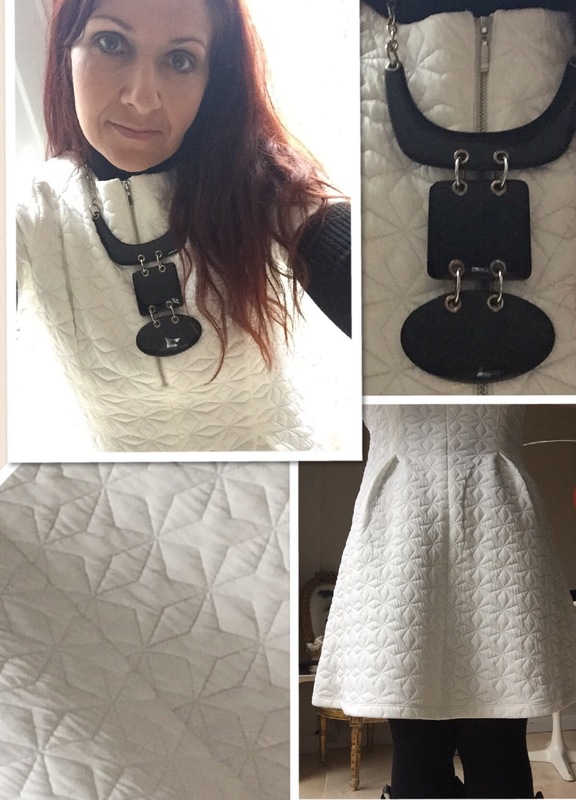 Would you wear white in winter? Let me know.